Synagogue Services Where new daveners are always welcome! Morning Services Sunday morning at 8:30am and Thursday morning at 7am. 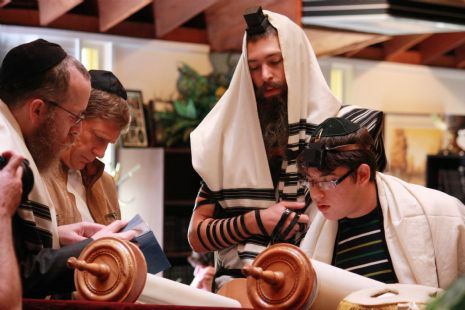 Click here to learn more about the morning Minyan. Kaddish Need to say Kaddish for a loved one? Call Rabbi to arrange for a Minyan. Minyannaire Contract Are you ready to commit to attending the Minyan one day a week? Click here to print the contract.